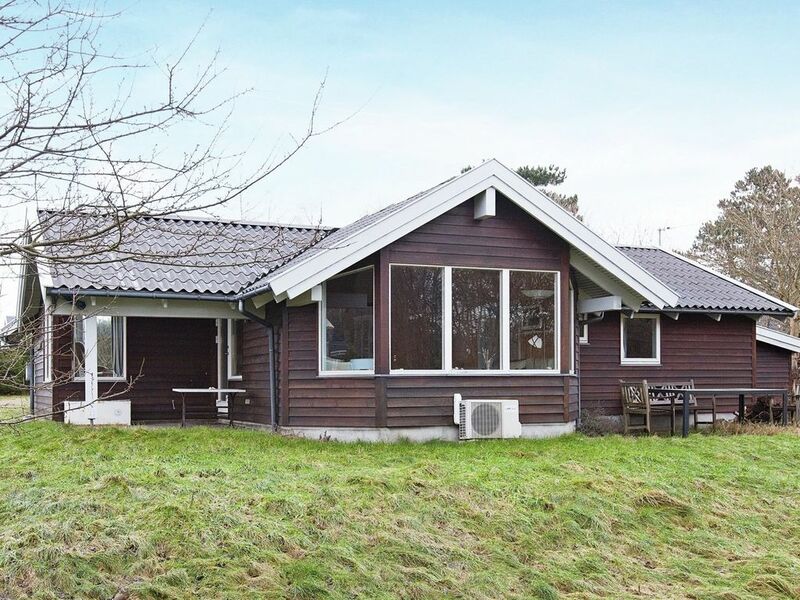 Holiday cottage in a small and enclosed cottage area with large, open living areas and open concept kitchen with dining area. There is a split-level living room where you can read a book or just relax. The other living room has a bay window which provide good natural lighting and an alcove where the children can play. The high-vaulted ceilings in the living room areas, wood-burning stove and heat pump help provide a good indoor climate and keep the energy costs to a minimum. The bathroom has underfloor heating and a washing machine. The plot is enclosed and slightly hilly primarily with lawn and good plantings bordering the road. Both open and covered terrace where you can enjoy the afternoon and evening sun while having barbecues.